Hi Scott, these are the markers I used with a spare fin that I experimented on. I made it to do it in a white and silver scheme but changed my mind - they may only be available in the UK, I don't know where you are based. I've taken some more pics with a more appropriate background than my grubby flooring. 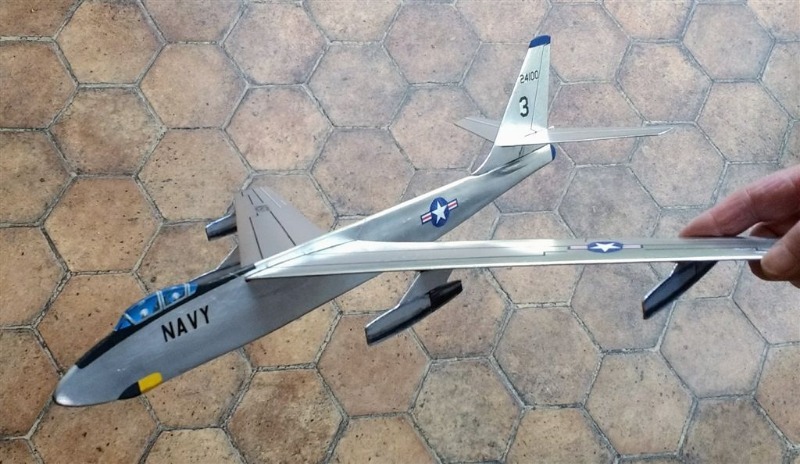 Here are two of my friend Pete Sanders' models of the Bill Dean Vulture and his own version of the VC10, Pete's Vulture inspired my Stratojet which in turn inspired Pete's VC10. Plus a plan from Aeromodeller of a catjet Stratojet of the same size which could easily by adapted to Rapier power.